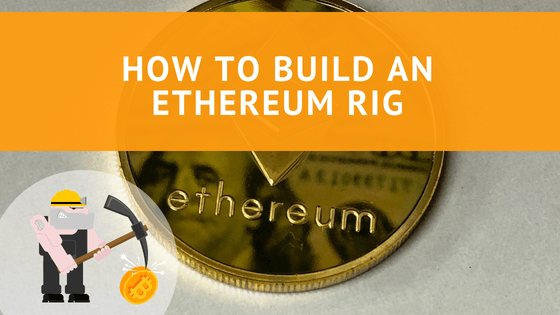 As there are more and more miners online today, you need to build a powerful Ethereum rig to stay in the competition. For example, you need a rig that can support several GPUs and have a sturdy hardware, which runs 24/7/365 without interruptions. So how do we make one that is best suited for Ethereum mining needs in 2018? How to Build an Ethereum Rig? First, you have to decide about the number of GPUs you want to install in your mining rig as everything else revolves around this. We suggest at least 8. There are plenty of good options available for buying quality graphics cards, but the best brands in the market are AMD and NVIDIA. Here is one excellent option from NVIDIA, the GeForce GTX 1060. Just keep one thing in mind, use the same brand for all GPUs in the same rig. So, what more do you need? A lot. Here is the complete list of hardware you need for an Ethereum rig. You need a frame to keep everything intact. For 8 GPUs, you need a big frame. There are plenty of good options available within the price range of $50 to $70, like the LAWOHO Miner Case for open-air rig. Next, a motherboard. We have already reviewed the best motherboard for 6 GPU mining rig, but there are plenty of other options available that support up to 13 GPUs. You also need a processor or a CPU. You can easily find one for the purpose within $50 to $70. Things to Remember: Keep in mind, CPUs are not crucial for mining rig unlike computers, as GPUs do all the hard work in mining rig. At least 80 GB SSD Hard Drive. One 4GB DDR4 RAM from Kingston would be enough. In addition, you also need a power supply unit, PCIe riser (we have already covered the best option), and M2 to PCI adapters. Some other necessary accessories are display emulator, dual power supply adapter, and watchdog. Once you have all the hardware available from the above list, you can start assembling hardware together, by following these simple steps. Start with attaching motherboard and CPU. Now attach the cooling fan and RAM with the motherboard. Attach your hard drive using SATA cable. Now, power it with the power supply unit, to test it. You can now connect the first GPU with the motherboard. Use PCIe risers to create more breathing space for each GPU. These are the initial basic steps to build a simple rig. Next, you need to run BIOS once the system has the motherboard, CPU, RAM, hard drive, and power supply, all assembled together. Go to BIOS > Update it to the latest version 0812. The next step after BIOS update is the motherboard configuration for optimized mining. For this, you need to install the motherboard drivers designed to configure motherboard for mining. A good practice is to install a remote access tool to your rig, like the TeamViewer so you can access it from your computer later. Next, install graphics cards driver, reboot the rig, and run it again. Once everything is in place, it is time to attach watchdog to the Reset and Power connection available on your motherboard. It helps your motherboard to reboot and turns on again. This is it! Get into the mix and start earning some precious Ethereum coins. Let us know if you have any problem with the process. Next articleWhat is the Best GPU for Mining Ethereum?